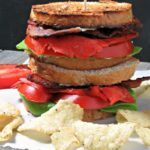 I make a mean ‘Adult’ Grilled Cheese sandwich – prosciutto, goat and couple of other cheeses, a smear of bacon jam, grilled to a beautiful golden, perfect for dunking tomato soup . I’m just not one of those people who routinely creates amazing sandwiches. Until now. 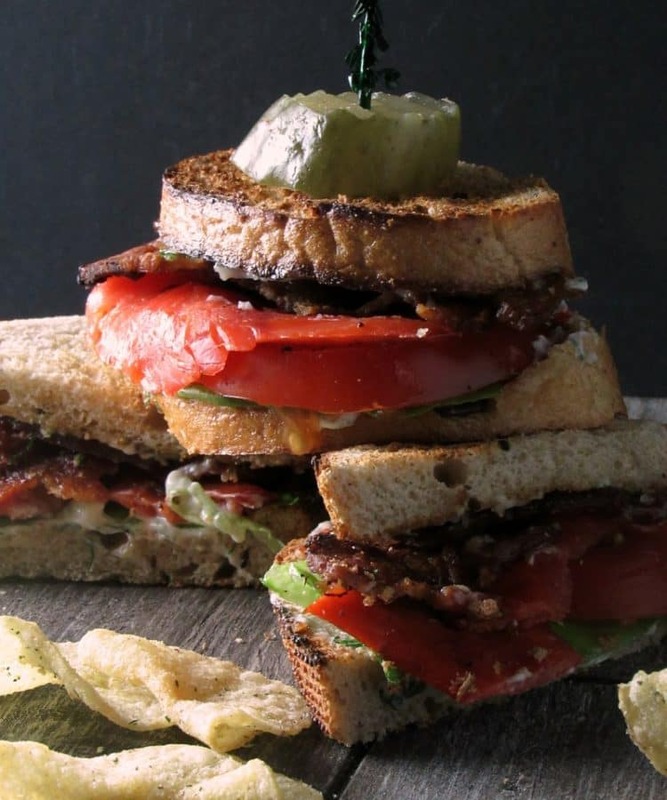 This Smoked Salmon BLT is a big high-five, fist-bumping sandwich. 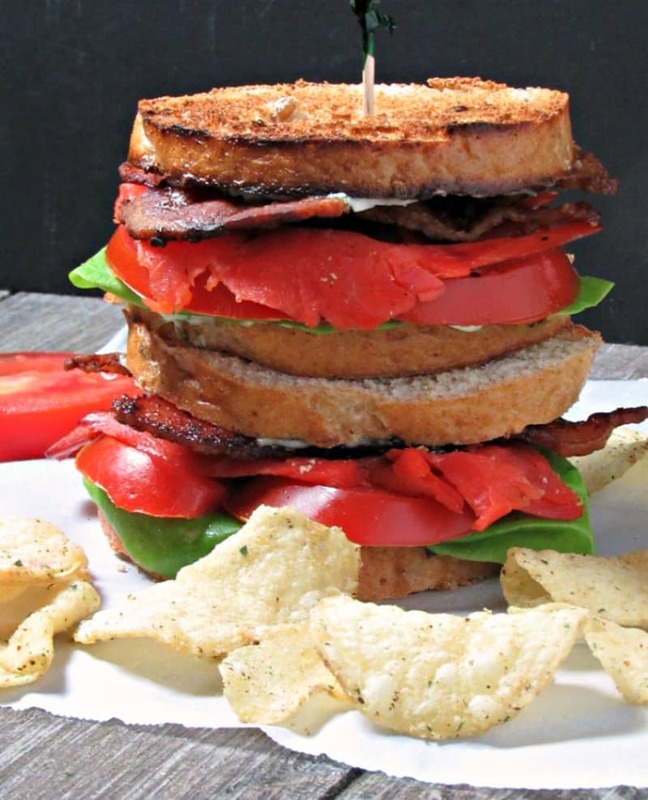 It’s everything we crave in a classic Bacon, Lettuce and Tomato sandwich – salty Applewood smoked bacon, sliced tomatoes, crispy lettuce and like the Adult Grilled Cheese, this Smoked Salmon BLT is all grown up. I posted a recipe recently for Chickpea Tomato Cucumber Salad where I practically swore with my hand on a bible to eat healthier after overindulging on vacation (isn’t that the sign of a good one?) . It started out fine, but my mind quickly went there – you know – gravies, creamy potatoes, rich brownies and BLT’s, but because my mind was still filled with visions of tasty Florida seafood, I decided to ramp up a classic with a little smoked salmon and oh.my.gosh. The thick cut bacon holds its own against the burst of smoked salmon flavor and to bring it home ~ homemade dill mayonnaise. 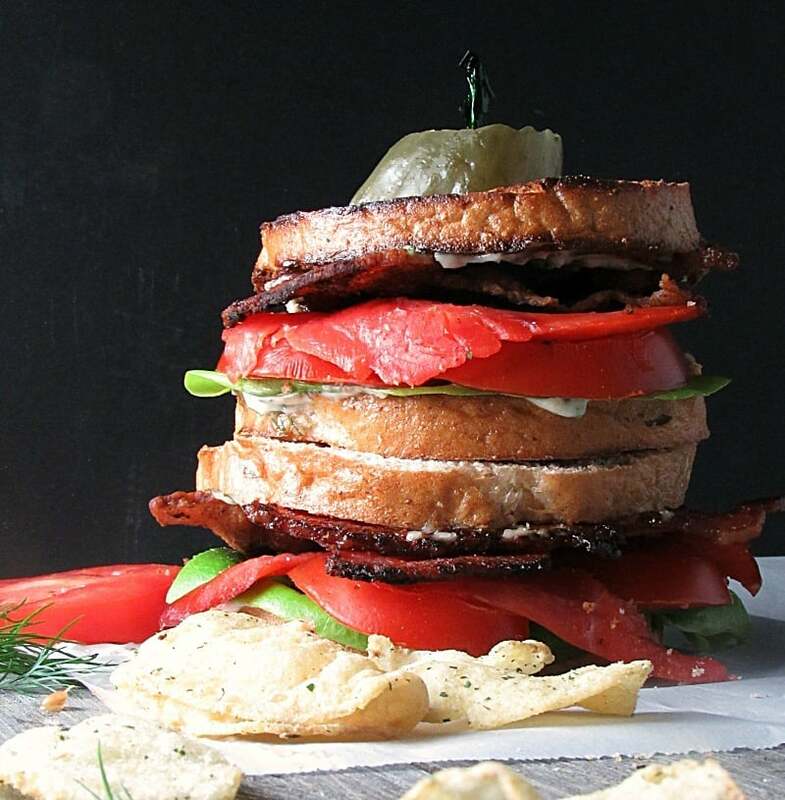 The only way this Smoked Salmon BLT could be better is with homegrown tomatoes. Summer can’t get here fast enough. 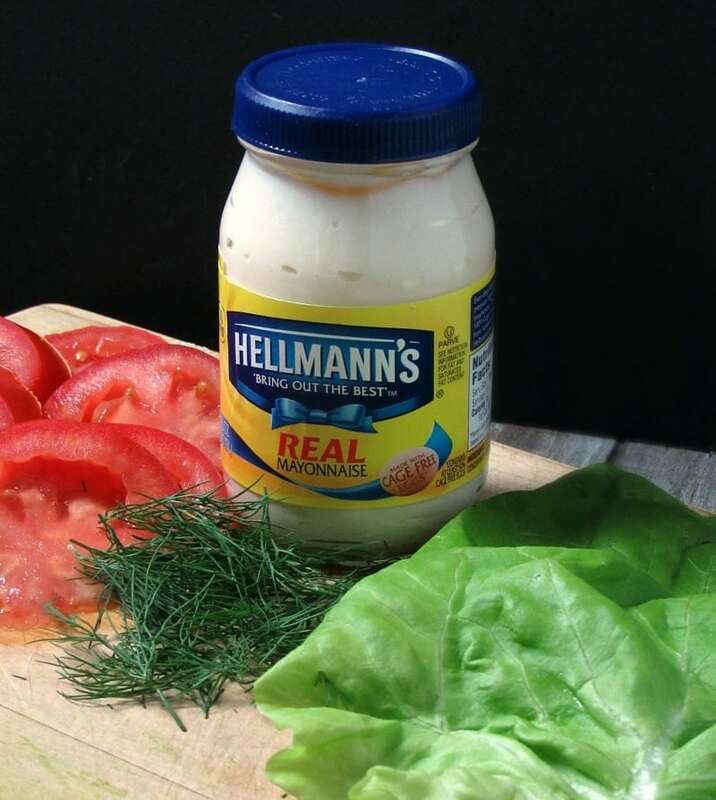 Blend the mayonnaise, dill and about 3 turns of fresh-cracked black pepper in a small bowl and refrigerate. 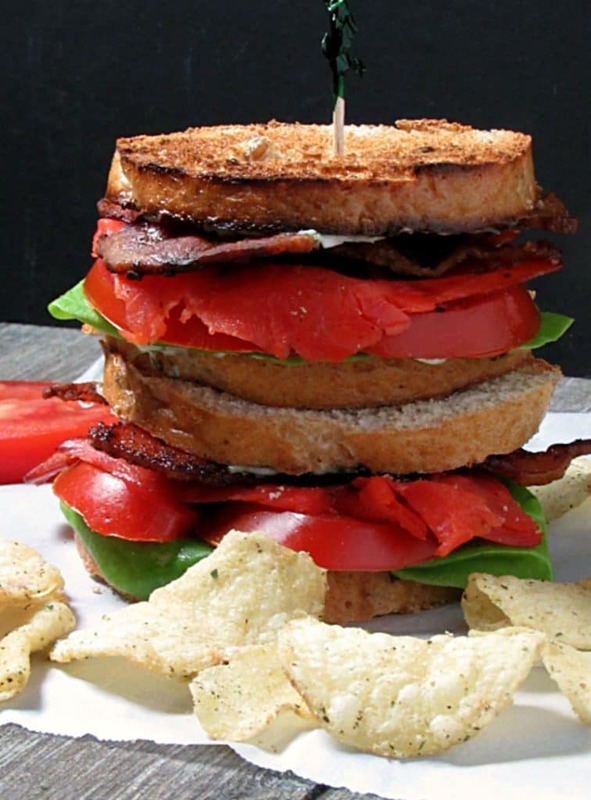 Wash the lettuce and slice the tomatoes so you’ll be ready to assemble when the bacon and toast are done. Start by cutting the bacon strips in half for easier handling and more even cooking. Heat the skillet over medium heat then add the bacon. 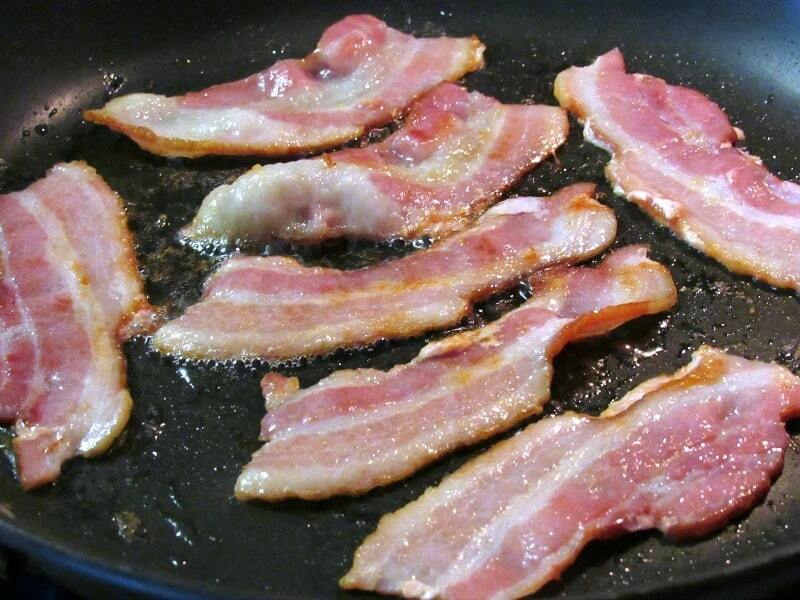 Turn the bacon strips to allow them to cook evenly, removing them from the skillet onto a paper towel lined plate before each strip reaches your desired crispness (how crispy you like your bacon is personal preference). The bacon will continue cooking a little bit after it’s removed from the skillet (carry-over cooking). 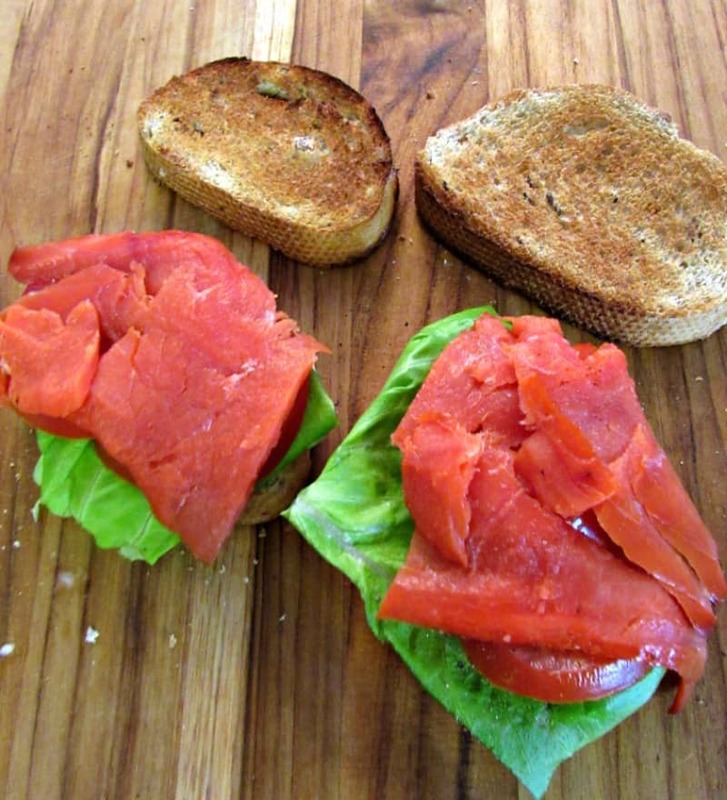 Slather some of the dill mayo on one piece of toast then top with lettuce, tomato, bacon and smoked salmon. (Optional: slather a bit more dill mayo on the other piece of toast). 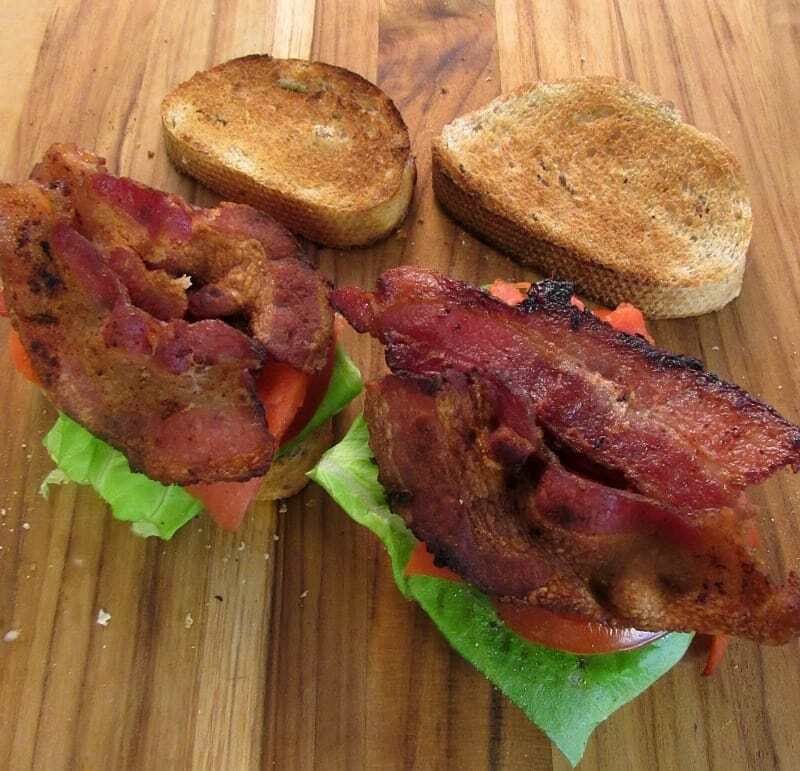 Smoked Salmon BLT ~ classic BLT sandwich plus sliced smoked salmon. Blend the mayonnaise, dill and about 3 turns of fresh-cracked black pepper in a small bowl and refrigerate. 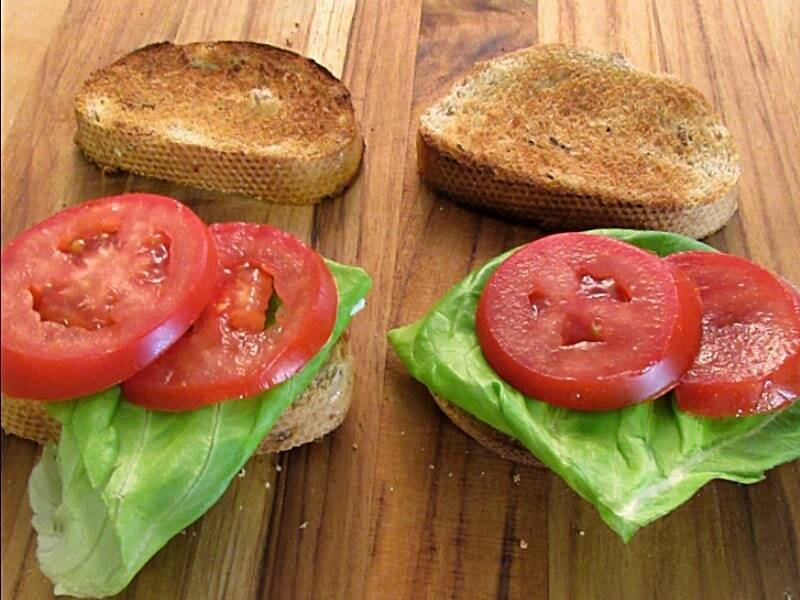 Wash the lettuce and slice the tomatoes so you’ll be ready to assemble when the bacon and toast are done. Fry the bacon (see description in body of post) and while it's frying, toast the bread. Assemble by slathering some of the dill mayo on one piece of toast then top with lettuce, tomato, bacon and smoked salmon. (Optional: slather a bit more dill mayo on the other piece of toast). This is definitely going on our menu this week. Perfect combination of flavors and ingredients! Pinned. Thanks for sharing. 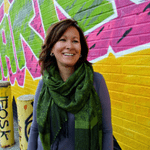 Hi Mary – it’s crazy how much flavor just a little smoked salmon will add. I hope you enjoy the recipe. Let’s chat again soon.